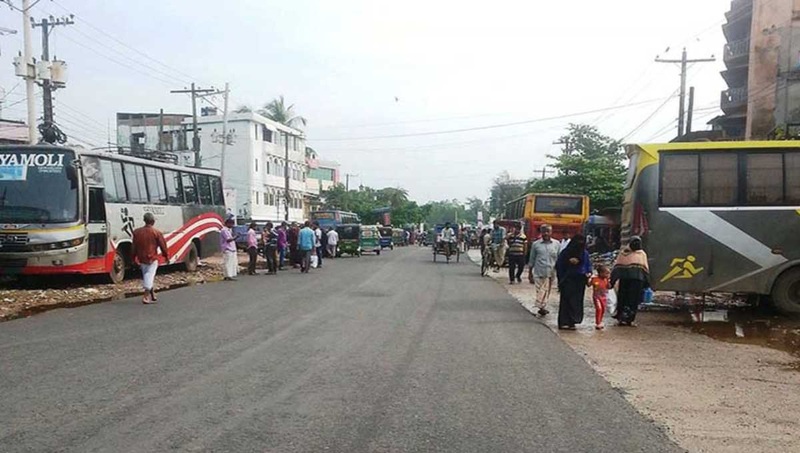 Chattogram, Oct 15 : Chattogram Road Transport Owners Association on Sunday night suspended their indefinite strike on Chattogram-Cox’s Bazar highway upon assurance from the administration. The decision came from an emergency meeting at night, said its president Jahur Ahmed. They enforced the strike from 6 am on Sunday protesting attack and vandalism at ‘Hanif Paribahan’ counters in Chattogram and ‘misconduct’ of Pranab Kumar Chowdhury, officer-in-charge of Bakalia Police Station with Abul Kalam Azad, secretary general of the association. Some activists of Bangladesh Chhatra League (BCL) allegedly swooped on two counters of ‘Hanif Paribahan’ at Karnaphuli Shah Amanat Bridge and Dampara in Chattogram and vandalised and looted valuables on Saturday. Hanif Paribahan’s owner Mohammad Hanif is a convict in August 21 grenade attack case.